Welcome to the first installment of my travelogue of our honeymoon. I’ve decided to break up my posts about our trip because pretty much no one, other than our parents would take the time to read about all 25 days of our honeymoon in one go. So we start in Sweden! 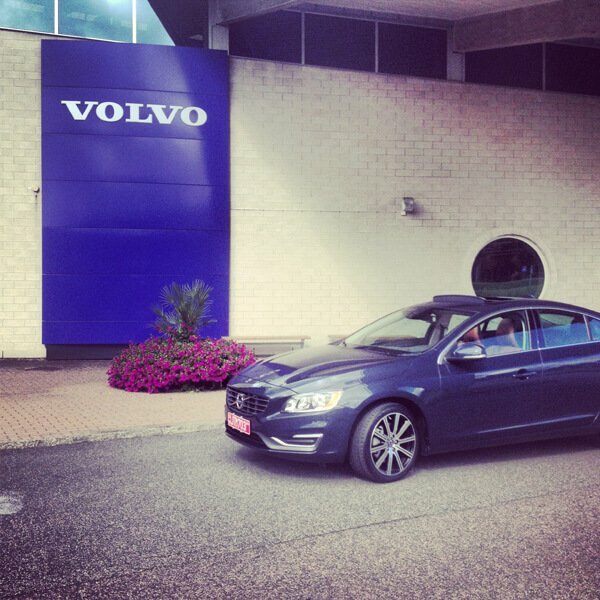 One of the things that made our amazing trip possible is Volvo’s European Delivery program. I will write more in a separate post (you can read that here), but basically it comes down to this: we bought a Volvo in the US, picked it up in Sweden, drove it across Europe, and then Volvo shipped it home. Volvo pays for our flights and a night in a nice hotel, plus we don’t have to shell out money for a rental car. It’s a pretty nice deal all around. 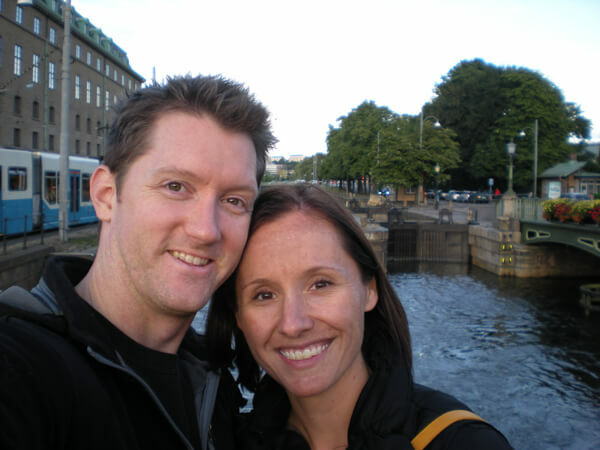 The day after our wedding, we flew to Gothenburg, Sweden, where Volvo is headquartered. A Volvo driver took us to the Radisson Blu and we were given an enormous suite with the most comfortable bed EVER (we referred to it as “the cloud bed” for the rest of the trip). 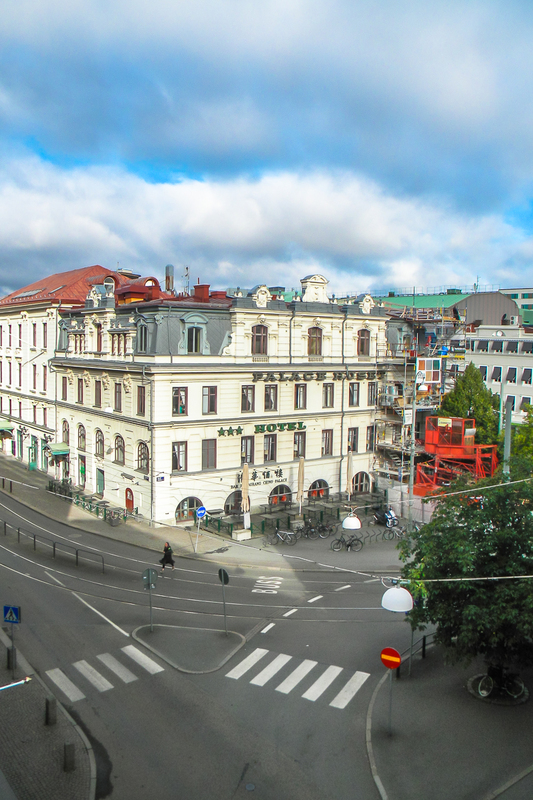 When we asked for a recommendation for good Swedish food, the hotel gave us directions to Smaka, a few blocks away. Of course, I ordered Swedish meatballs — absolutely delicious. We strolled back through Gothenburg, along the little river and through a lovely park. 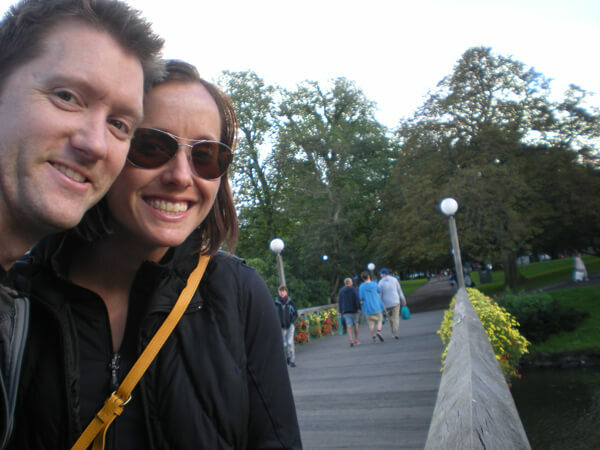 Even though we spent such a short amount of time there, we both loved Gothenburg. It felt healthy, young, and outdoorsy. Everyone was out enjoying the lovely weather — concerts in the park, outdoor art exhibits, things like that. It helps that all Swedish people are beautiful, too. Afterward there was a Volvo factory tour, which was actually pretty cool. There are 12,000 parts in a Volvo, and it was interesting to see what it takes to make a car. Of course there were no photos here — trade secrets and all that. We left Volvo that afternoon, and after sixty-two tunnels and a lot of pretty bits in between, we arrived in Kristiansand, Norway. Along the way, we stopped at a roadside cafe (well, road-top cafe — the restaurant literally sat above the motorway). This is where we learned just how expensive things are in Norway. Ryan had schnitzel and I had a side salad, plus two drinks…for a grand total of $58! What insanity. We ended up eating from gas stations and grocery stores a lot in the next nine days, and we are still going to be paying off Norwegian food and fuel for the foreseeable future. 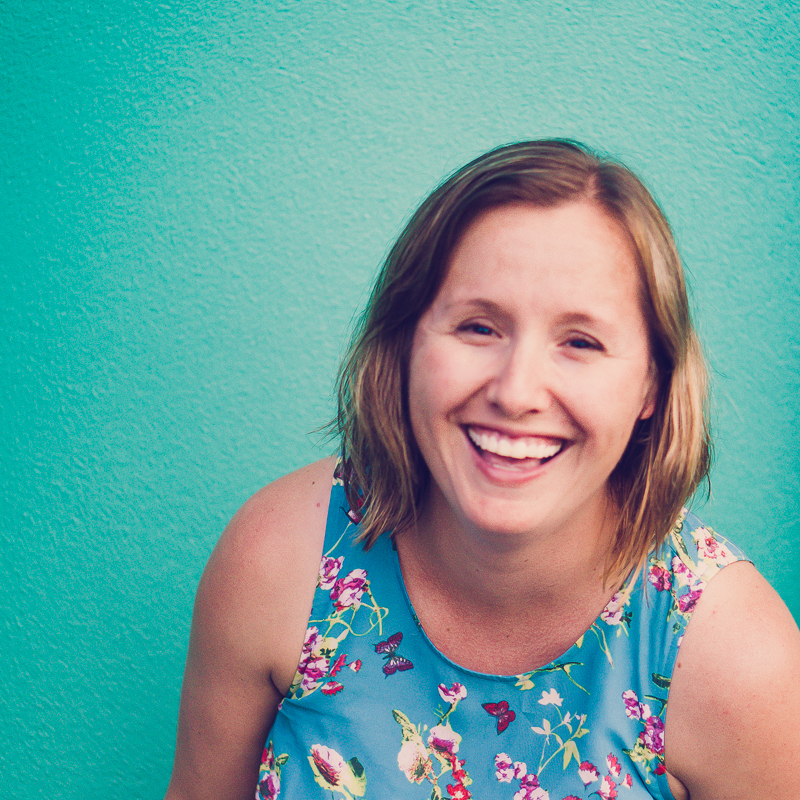 In the next installment of our honeymoon travelogue: Cori and Ryan get a motorcycle. Then they get very, very, very wet.